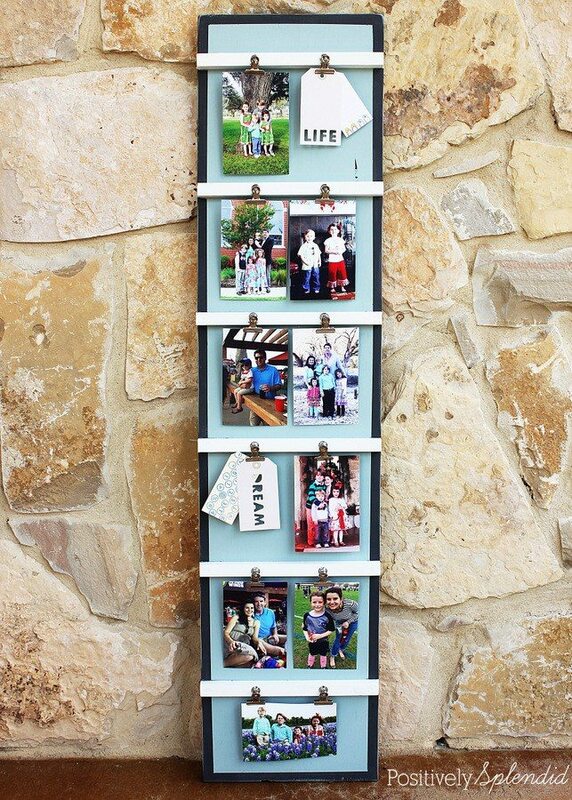 Mini clothespins paired with a folding ruler are a quick DIY photo display. 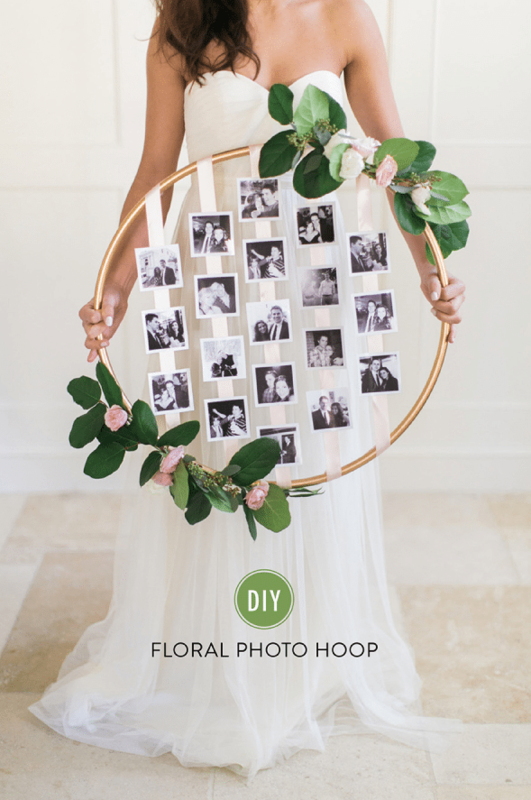 Turn a hula hoop into a photo display wreath with ribbon and florals. 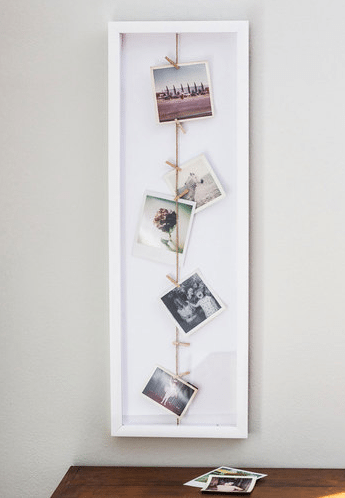 Simply add twine to old pieces of wood for a vintage style photo display. 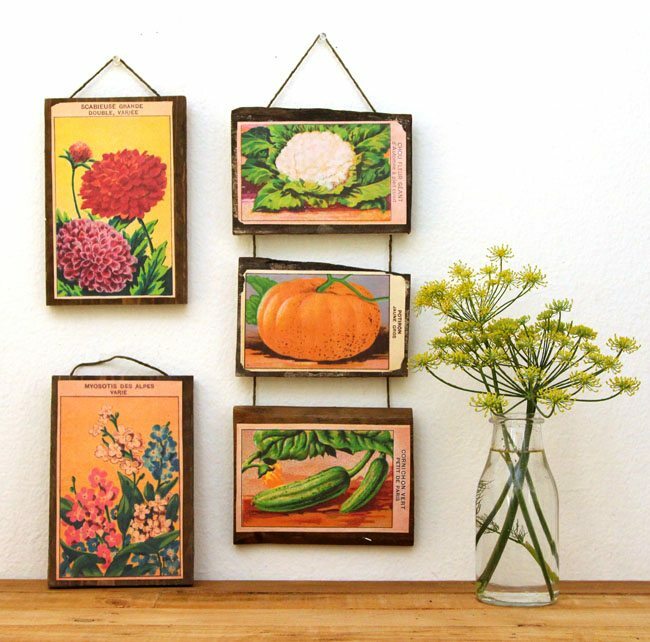 Hang a large geometric display directly on the wall. 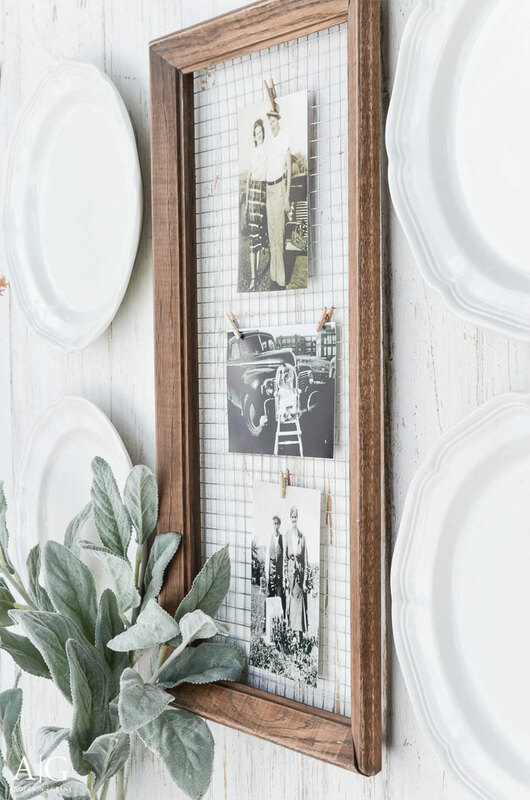 String twine across a white frame and backboard for a modern aesthetic. 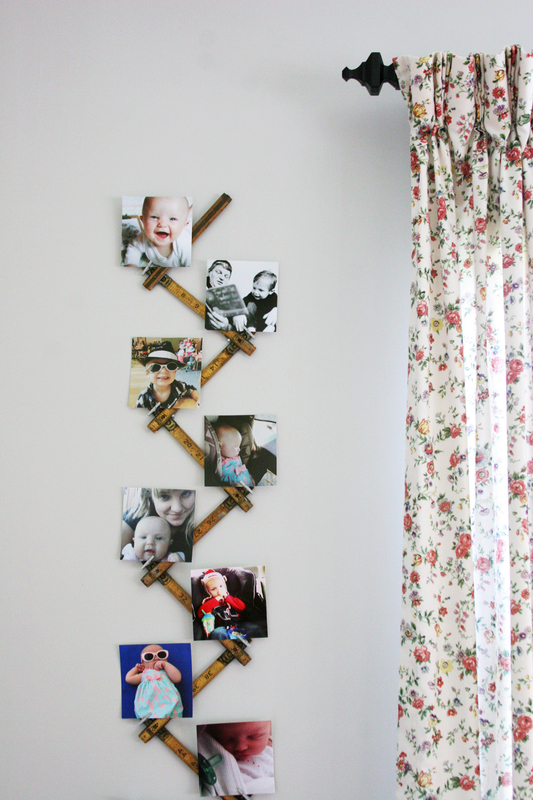 Attach hardware cloth, or chicken wire, to an old frame to clip-on photos. 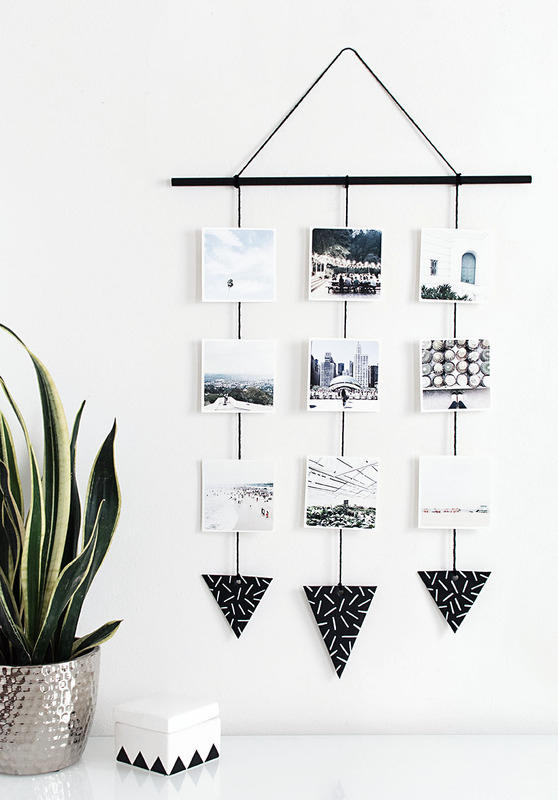 Use varied sizes of embroidery hoops to make a hanging photo mobile. 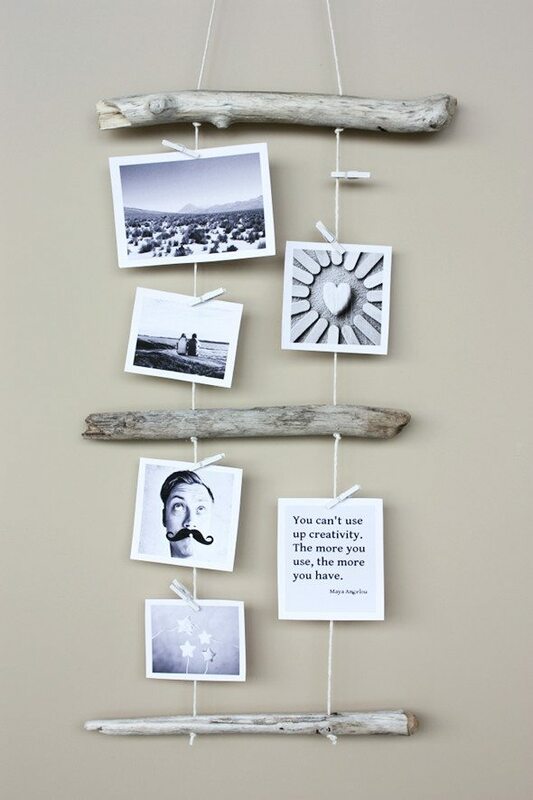 … or a dowel rod and geometric shapes for a modern, hanging photo display. 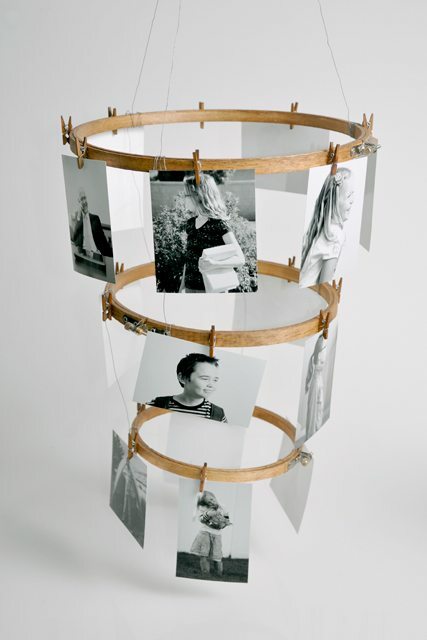 Piece together scrap wood to create a photo “ladder” of sorts. 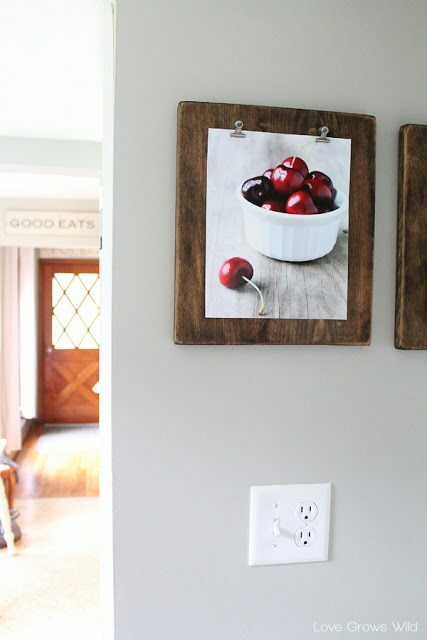 Add clips to scrap pieces of wood, similar to the look of a clipboard. 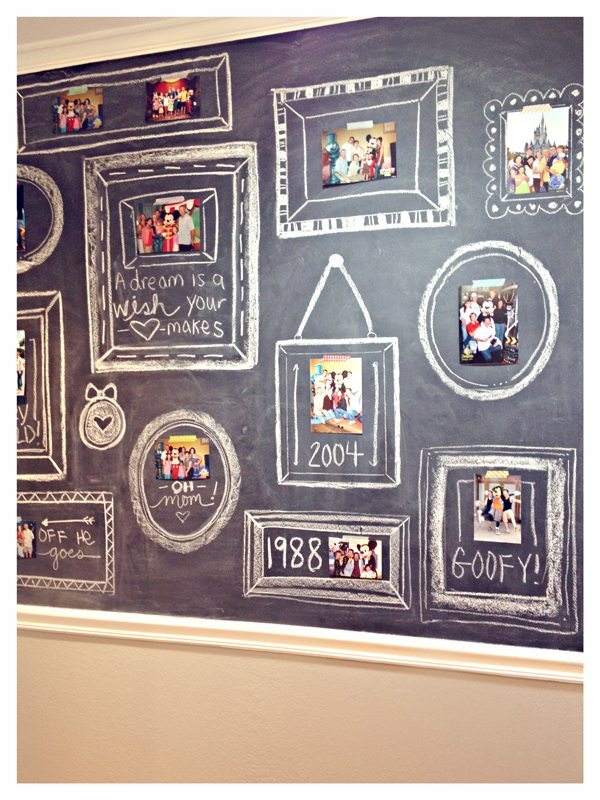 … or simply stick the photos directly to the chalkboard. 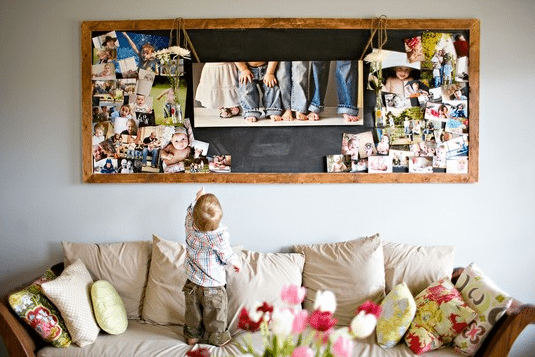 Grab a chalk marker and draw photo “frames” on a chalkboard. 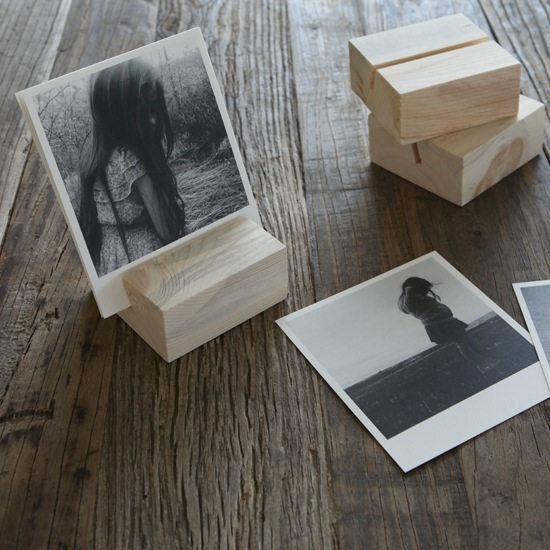 Make simple, modern photo holders from wood blocks. 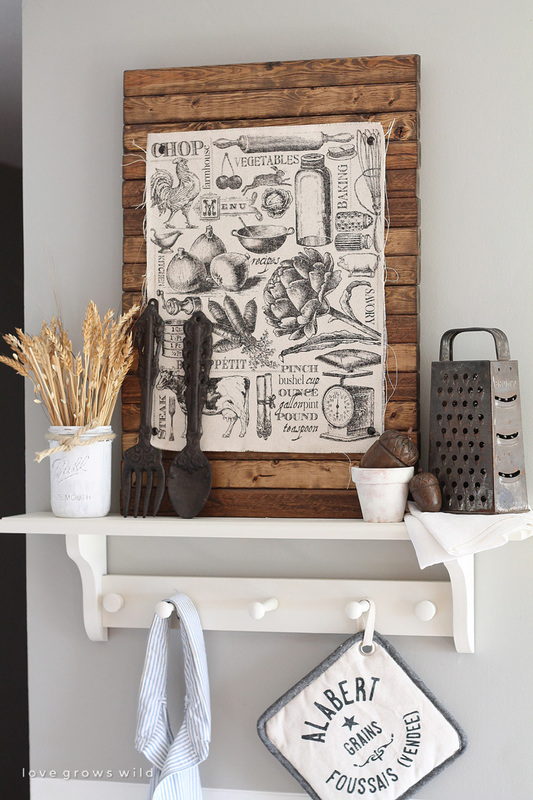 Stack thin boards to make a rustic, farmhouse-style photo backdrop. Seriously, at this point, there is no reason to skip displaying family photos. 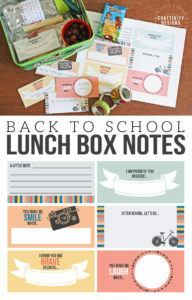 So many great ideas, right? 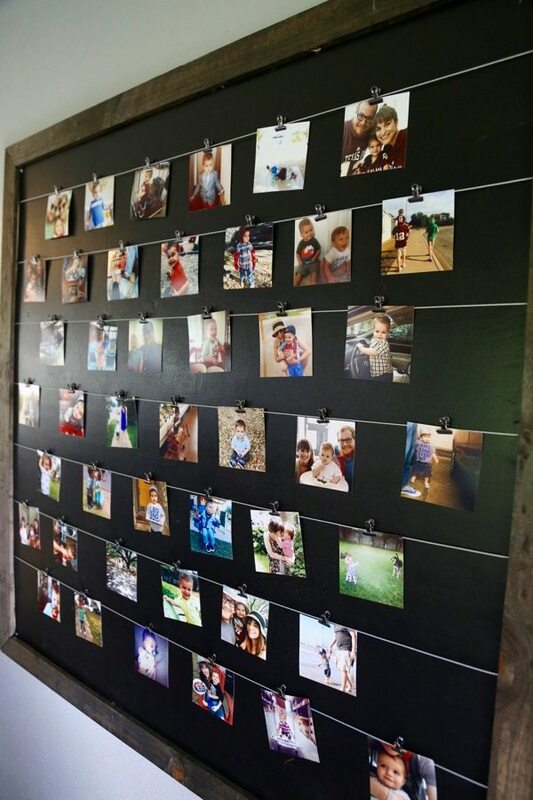 The hardest part will be going through photos and choosing which pics to print, but you’ll be so glad you invested the time. After all, creating a home is about designing a space that reflects your family.